This book describes the medical, bioenergetic, emotional and transpersonal range of effects of the Eight Extraordinary Vessels of Traditional Chinese Medicine. The author researched the functions of the Eight Extraordinary Vessels over a period of 15 years with both acupressure and acupuncture. Not very much has been published on the Eight Extraordinary Vessels so far. Internationally there are very few titles that focus on the subject. The reason is that in acupuncture, Shiatsu and acupressure only the Governing and Conception Vessels (Du Mài and Rèn Mài) are widely used. The common practise of acupuncturists is to needle the Master points of the other six Extraordinary Vessels – but very few doctors use the whole sequence of these Marvellous Vessels, as they are called in ancient texts. 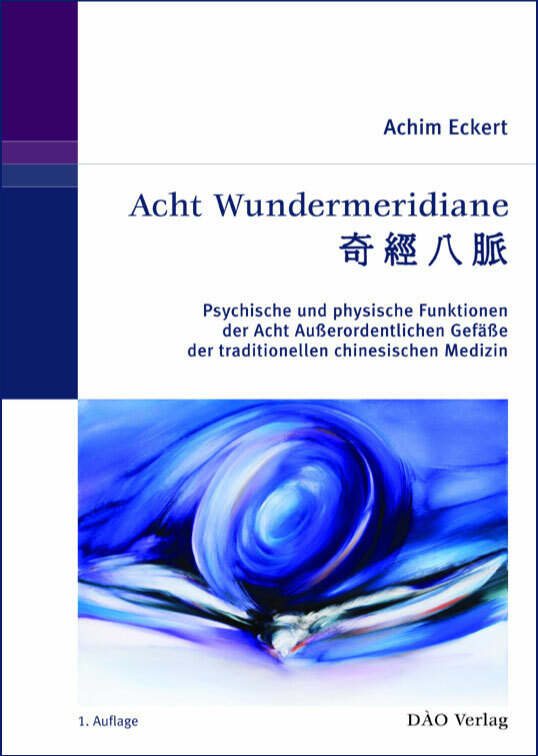 The book has almost no competition so far – in a field of Chinese Medicine that will be a focus of investigation in the next decades, as the Eight Extraordinary Vessels have very powerful effects on brain activity, capacities of outer and inner perception – with the senses as well as by psychological insight - and basic Yin-Yang parameters of the organism. They are more efficient in treating stress disorders and burnout syndromes than the 12 organ meridians, as they are able to help body and mind to regenerate in a thorough way. Some of them have a distinguished effect on enhancing performance abilities on the physical and mental levels, so they can be used to help a musician before his concert, an actor before an audition or show, a business man before an important meeting or an athlete before competition to get into their best state of physical and mental performance. As treatment of stress disorders and burnout, quick regeneration and enhancement of performance abilities are very much sought after in the fast pace of modern civilisation, the Eight Extraordinary Vessels are going to be increasingly important in medicine. This book has been written for acupuncturists, Tai Ji, Qi Gong and Shiatsu practitioners, body workers and students of Chinese medicine who already have a basic understanding of acupressure or Shiatsu, acupuncture and Traditional Chinese medicine. The feedback the author has been receiving by his readers has been very positive. They have been appreciating the clear structure of the book, the large amount of information contained in it and it´s linguistic and poetic quality. The book contains an abundance of information for all people who investigate the connection and interrelatedness of body and mind – for doctors and therapists that work with methods of Humanistic Psychology and body oriented psychotherapy. As it is not a freshly painted copy of knowledge already available in another form, as most books in the field of Chinese Medicine are, and contains the results of 15 years of empirical research, the book has internationally no competition so far – which might be a reason to publish it quickly and not ponder over it too long. The Eight Extraordinary Vessels developed from my teaching experience as well as my personal research studies. Since 1980 I have been giving lectures and conducting seminars on Shiatsu, acupressure and acupuncture of the 12 Organ Meridians and the Eight Extraordinary Vessels and Traditional Chinese Medicine in general. The book has only been translated into Portuguese. Can you recommend an English, American or Australian publisher for a publication in English ?